There are more racing games with more tracks and more cars than DiRT Rally, but after having logged a lot of hours with this title, I am not sure there are many more racing games out there that are better than this one. This is a simulation racing title and not an arcade one, but it is one of the best simulation racers that I have ever had the chance to play. We should probably start with the basics, as rally driving is not like a lot of other forms of racing. You are not doing five hundred laps around an oval track in this form of the sport, but instead working along roads that at times almost would better be described as glorified dirt paths that wind through all kinds of gorgeous landscapes. 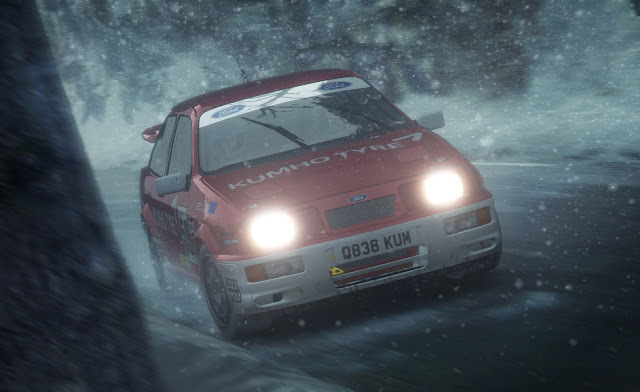 There are a few different modes of play such as the hill climbing and rallycross, but those two modes are pretty limited and really, this is all about the core rally racing. There are options for online play as well, which works well because you are not directly competing with and rubbing bumpers against other players online. Instead you are tackling a course and attempting to get the best possible time, meaning that the fastest driver from start to finish is the winner. This is great since it removes lag from the equation. The things that make DiRT Rally so unique are the very things that could very well discourage new players from giving it a proper go. This is a hard game, even if you turn on the various assists (though racing without them allow you to gain credits for unlocks more quickly, which is otherwise a very, very slow grind), you will struggle to keep your car on the track. It is unforgiving, frustrating driving because there are so many little elements to learn when racing up, down and around these roads. There is a lot of slide to your car's actions, which makes sense given the dirt nature of the paths. You cannot simply hold down the acceleration and sometimes tap a brake as you near the corner and hope to prevail. Do this and you will slide badly and often off of the road. This can critically damage your vehicle, knocking you out of the rally event. The roads are not just dirty, but uneven. A small bump in the path might mean some airtime. For those of you hoping that these means white knuckled, pulse pounding Dukes of Hazard style launches into the air, you will likely be very disappointed. We are talking about a couple of feet or so of air, but believe me that can be more than enough if you are barrelling along a downward sloping path that has a sharp turn coming up, because if you do not have your tires on the ground, you have no chance of braking and turning your wheels in anticipation of what is coming. 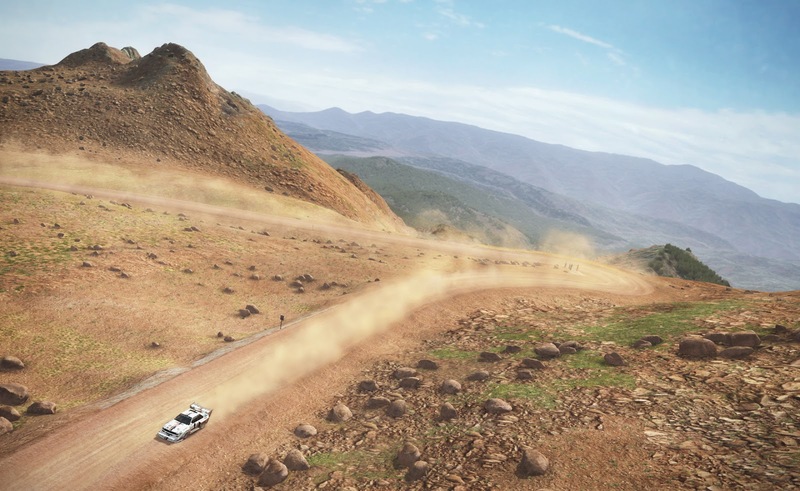 Also, if you are used to watching a mini-map of your track to anticipate what is coming, DiRT Rally has something far different in store with you. See, in Rally racing you have a co-driver who is sitting there giving you verbal directions based on track notes. So he might tell you that there is a hairpin turn to the left coming up, but you might not see it until the last moment. The game does a nice job of overlaying some visual cues on the screen to compliment what your partner is telling you, so you can see the green, slightly slanted to the right arrow indicating that a moderately gentle turn to the right is forthcoming. Driving recklessly can get your car wrecked (yup, I managed to do that on my first event, disqualifying me after the second of four parts). Partway through you will be offered a chance to pay and have your car repaired by your mechanics. It is something to consider as more damage could in fact mean the end of your race and keep you from finishing the event. Mechanics then have to work on your car, tending to the items of greatest need within a specific period of time. If they go over, you are penalised during your next run. All of these elements work together to create a unique kind of racing experience that helps DiRT Rally stand apart from its competition. However, if you are new to the series or just overly familiar with more traditional racing titles, the learning curve here can be incredibly steep and very frustrating. But DiRT Rally is unfair in any way. 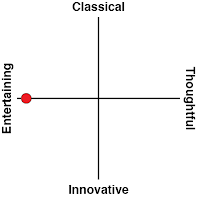 It is simply challenging and it expects you to learn and adapt. The challenges are never insurmountable, but you do have to invest time and effort into getting better to get the most out of the game. Early on I was finishing races in the second or third to last position. Going back to those same races a few days later, I was consistently finishing in the top three. This is a case where practice will certainly help you get closer to being perfect (though I would argue there is no such thing as a complete clean, perfect run given the precarious natures of the tracks). One of the knocks for this game I touched on in the opening paragraph is that there are not that many cars and tracks available in DiRT. The vehicles are more about quality over quantity, and I could argue the same thing for the tracks. Still, ringing in at about seventy events and just over forty cars, there is just not as much content as some similar titles. This is no doubt part of the slow grind that is credit accumulation. It would be nice to have more cars and faster earning, so the unlocks come more frequently. Sure, the end pace might be the same, but everyone enjoys milestones and in this game the carrot dangling is far too slow to be as gratifying as it should be. 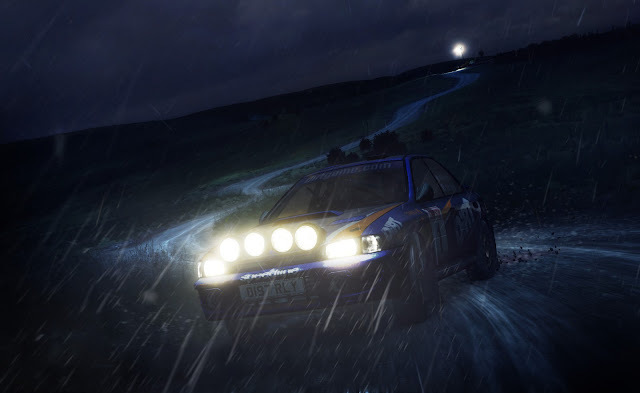 On the presentation side of things, DiRT Rally is absolutely gorgeous. My son and I have discussed this about racing games before, but they regularly turn out some of the most beautiful graphics on any gaming platform. It makes sense really, as there are fewer moving parts to a car than a human body with all of its limbs and facial expressions. They can focus on the largely static vehicle and how light, shadow and reflections play off of and around it. That being said, DiRT Rally has some gorgeous environments (you default to the inside view, and while it offers a more realistic experience, I encourage you to use the camera behind the car on the track so you can better enjoy the scenery). Damage done to your car shows up over time, from trunks that will not close to bumpers hanging off at odd angles. The different weather effects and varied locales are also quite impressive. The damage shows up in the audio as well. That bumper or a malfunctioning engine part might make a repeated tapping sound that was not there when your shiny new car rolled off of the starting point. 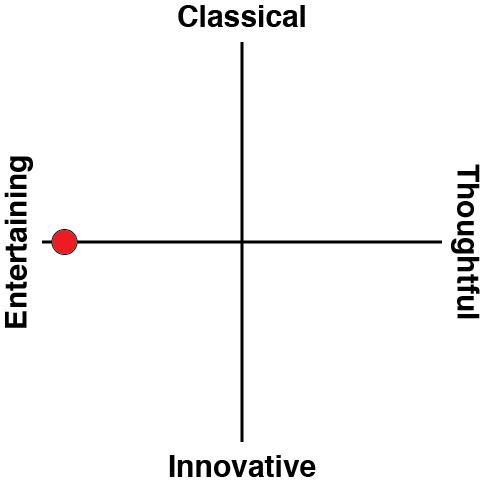 The soundtrack is there, but not standout. Thankfully the game's sound effects do help to carry the load there, with convincingly deep motor growls, the sound of tires sloshing through the mud and more. Mixed with the visuals, the sound effects help to round out a spectacular presentation. There is more to this game than just the racing however. You can manage a team as you hire and fire crew members who have different strengths and weaknesses. This really comes into play when you need to fix your car on a particularly gruelling track. Over time you can help these team members to improve their skills and teamwork, allowing you to achieve all new levels of success when the inevitable damage threatens to derail your rally attempts. 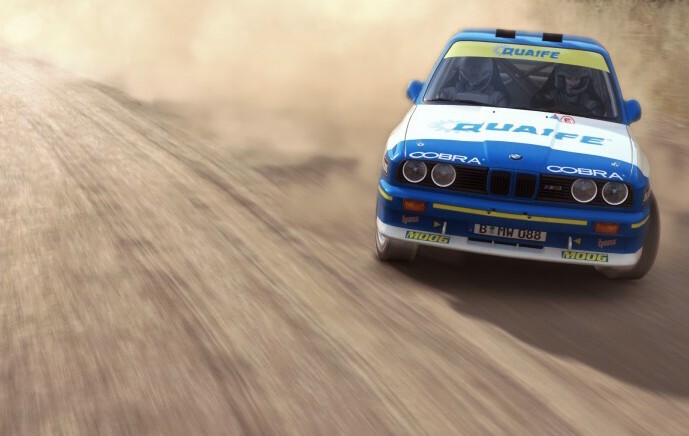 DiRT Rally is an excellent game that has a fairly high barrier of entry due to its uncompromising control scheme and challenging style of play. Some better race training could have really helped to offset this difficulty, and is one of the few areas where this title missed a golden opportunity for its players. The end result is a game that can be difficult to get the hang of, but also provides a great sense of accomplishment than most racing titles once you do learn how to race the way it wants you to. While there is not a ton of content, there is more than enough to keep a racer busy and the quality of said content is spectacular.